The Garmin Approach series are designed to help you game smoothly while out in the field. With a handheld or a golf watch device, you are sure to get accurate yardages and important features which will improve your speed of play and enhance your course management. Also, they are very easy to use, and contain thousands of courses all over the world. If you are a lover of gold across the planet, you can be certain your Garmin will be already preloaded. With your approach, the golf courses will be detect and updated at no cost, so you will always feel like you know every golf course. This is the latest edition to the series. It was released on the market in January 2016. It is a mid-range golf watch and comes with all the incredible features found in the range. In addition, it features accurate distances to the front, middle, and back of the green, and hazards as well. There watch app can help analyze the distance and location of every shot. Furthermore, it also comes with an advanced AutoShot feature which records distances and location of every shot. Just like many other models, this one also has notifications. This golf watch is available in grey and black. 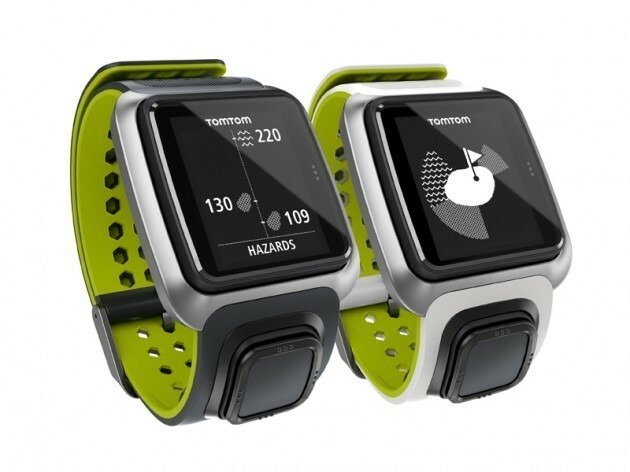 It features a GPS receiver which is designed to show you distance to greens, doglegs, and hazards, even under the tree cover. There is also an auto shot that analyzes shot distances plus auto-recording for round analysis on the Garmin connect account. In addition, the watch boasts of a heart rate monitoring. Which lets you track your heart rate all the time, as well as an activity tracking accuracy. It has a long lasting rechargeable battery that can last up to 5 days.